This 4-part brain is medially divided. All structures of the brain are hand-painted, numbered and identified in a product manual. The brain's right half can be disassembled into: Frontal with parietal lobes , Brain stem with temporal and occipital lobes , Half of cerebellum. 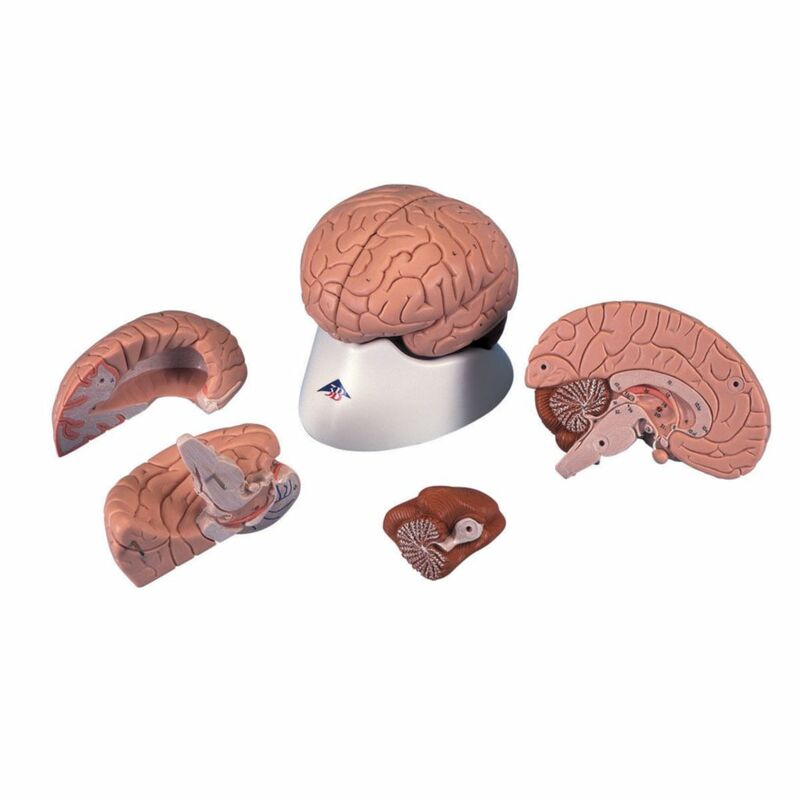 This brain is a great educational tool for the human nervous system and anatomy of the brain. This brain is delivered on a removable base.